From doing pro bono work as a corporate lawyer Rohini Hands realised that there was a pool of young people disaffected and failing at school that had the potential to be high achievers in the workplace. It prompted her to set up a social enterprise using interactive digital media as a means of engaging and educating them. After five one-hour sessions over 60% of pupils in a Sandwell school showed that they were on track for good SATS marks. The back end of the game revealed what they needed to revise to improve even more. From there the LearnPlay Foundation moved on to teaching children how to make their own games, using pictures from their own craft work for some of the visuals, then how to make films, covering everything from scriptwriting to post production. Wanting to pitch for public sector contracts Rohini needed to grow her business quickly. 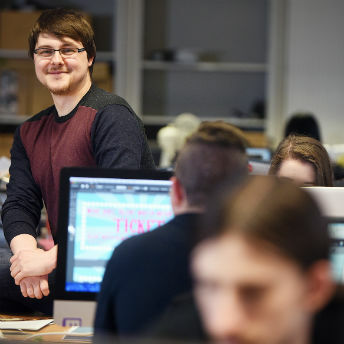 With appropriate finance in place, the LearnPlay Foundation was able to win a government contract to set up a communications hub for young people finding it hard to gain employment. “Without ART’s support, we couldn’t have done it,” Rohini says. The range of services the LearnPlay Foundation offers has continued to expand, although its primary focus remains providing training and apprenticeships to young people (aged 16-24) with the aim of supporting them into permanent employment. Over 10 years the business has grown from 2 employees to 120, including 80 apprentices. 90% of the staff team has experienced challenges in their own lives which enable them to relate to the young people they are working to support. With a huge demand for its ever-expanding range of services, the LearnPlay Foundation looks set for a bright future.